It's awards season so you know we are GEEKED! Tonight's show was all about the best in music. The 61st Grammy Awards has finally arrived and above all, it was a night of celebration. From Michelle Obama making a guest appearance to everyone looking for 21 Savage, this year's ceremony is off to a great start. And if you know us, we were glued to the screens to see the fashions donned by our favorite celebrities. It's always interesting to see what designers the stars will be dripping in. With all of the controversy with Gucci and Prada's racist imagery, our eyes were peeled to see who was wearing what. Let's check out some of our best dressed picks of the night! 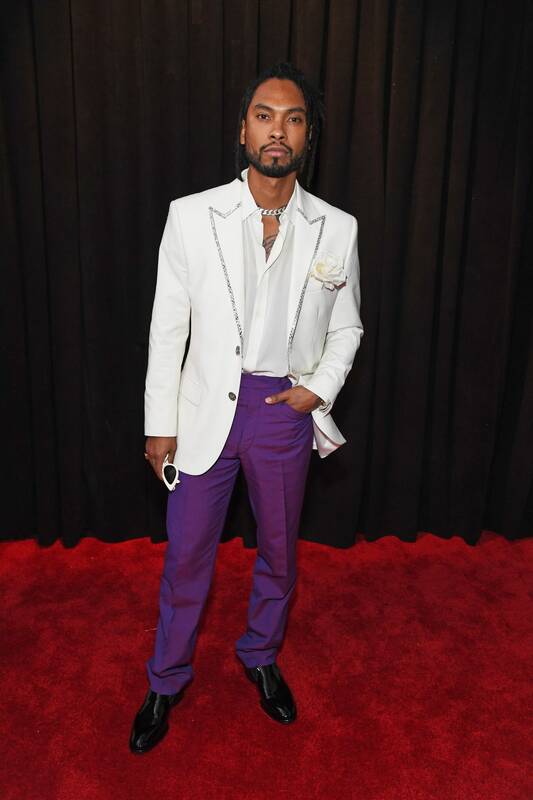 The "Come Through and Chill" musical genius Miguel gave us a pop of color with his purple pants. Were you watching the red carpet? Who was your favorite? Let us know in the comments!